A compendium of seasonal songs, crafts and recipes for parents and teachers. For a child to feel at home in the world and to experience the oneness of the universe, there is no better way than through nature and the arts. 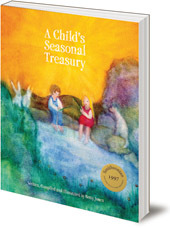 This book is a treasure trove of timeless songs, crafts, verses and recipes for seasonal treats, to bring joy to the process of learning, both for young children and the adults who care for them. A revised and expanded edition. Betty Jones studied Rudolf Steiner's philosophy of education at Emerson College in England. She pioneered Waldorf kindergartens in California, Hawaii and New Zealand, and later became a Resource Specialist for Spanish-speaking learning disabled students in the California State Public Schools. Her work and her writing focus on art therapy and on developing cross-cultural educational curricula for early language acquisition.